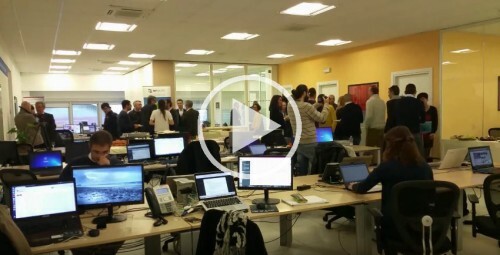 Dec. 18th 2015 - Joining in the festive season currently sweeping across Italy and Europe, Italy-based IT systems integrator Extra kicked off the start of their 10th Anniversary celebrations with an Open Day last Friday, Dec. 15 at their company headquarters in Pontedera at the heart of Tuscany. Toasting the consistent growth and success of Extra are tens of visitors coming from the systems integrator’s partners and clients who were toured through the various business units of the company. Extra’s buddies from Openbravo and Red Hat also came all the way to Pontedera to join in the celebrations while their friends from Pentaho and NetSuite helped sponsoring the event. Other systems integrators that Extra frequently team up with such as NTT Data Italia, Engineering, Infogroup and Reply also showed their support. Business unit heads put down their nerdy programmers’ hats for the day and took the role of sociable tour guides, each introducing how Italian businesses are so, so much better now that they’ve finally decided to join the 21st century and adopt the latest IT solutions in place of their legacy systems. The business units were highlighted at the Open Day tours were: the Business Intelligence, Integration, ERP Systems and the Software Solutions. Extra also took this opportunity to advance another one of its advocacies; that is to encourage more talent into the IT industry. Students from the local Instituto Tecnico G. Marconi in Pontedera were invited to join the event and were given an introduction into the sector as well as a closer look at each business unit. This coming 2016 marks the company’s celebration of 10 years of growth from an IT consultancy and outsourcing firm to a project-based IT systems integrator with more products and services for enterprises. 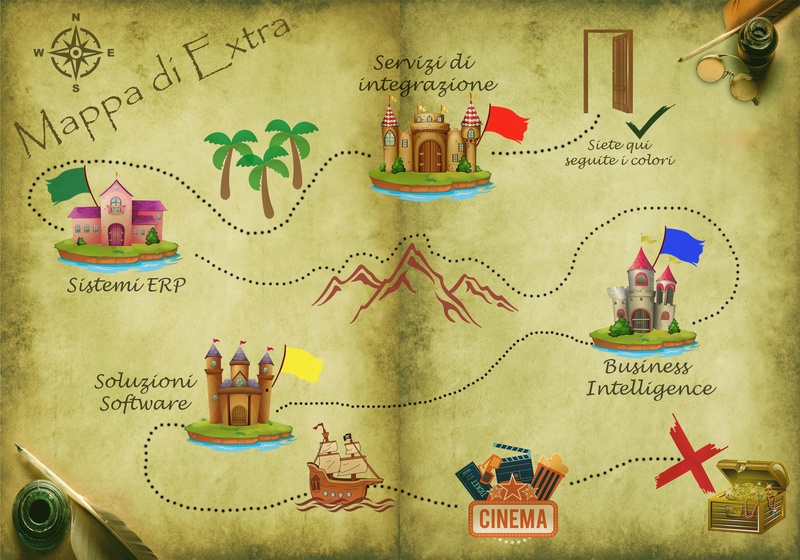 Since its establishment Extra has worked on more than 100 projects across 30 various industries within 10 different countries. For the company this important goal is an incitement for a further growth increasing services and products with the latest technologies and maintaining our solidified values such one of Extra's key pillar: the care for their talents. Whoever missed the event can catch up for the next one in May for more surprises.